Nice to offer another really nice pair of “different” sconces. One of the more unusual pair of sconces of the deco era made by Mid West MFG Circa 1935. 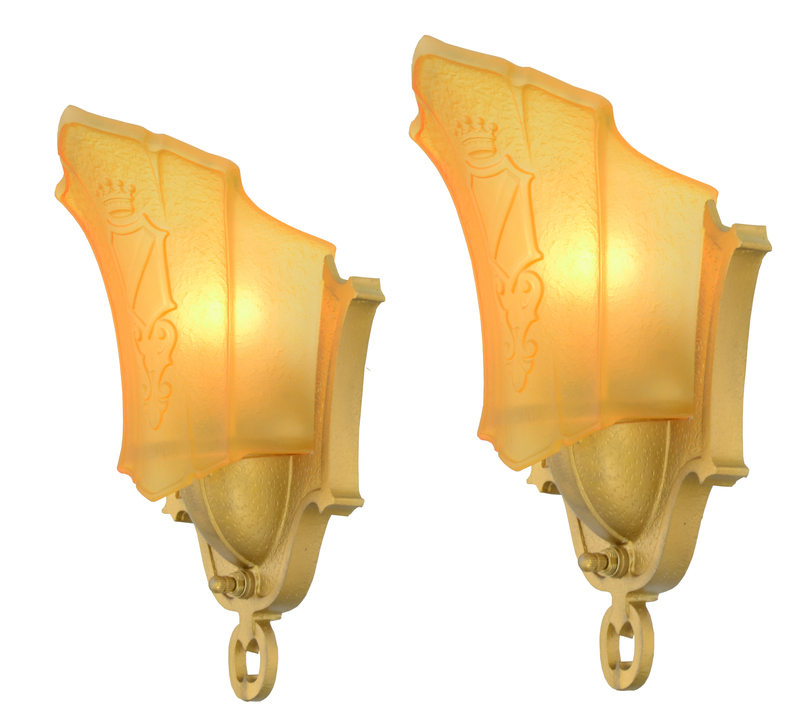 These sconces come from their “Oxford Series”. Mid West only made the best quality lighting. 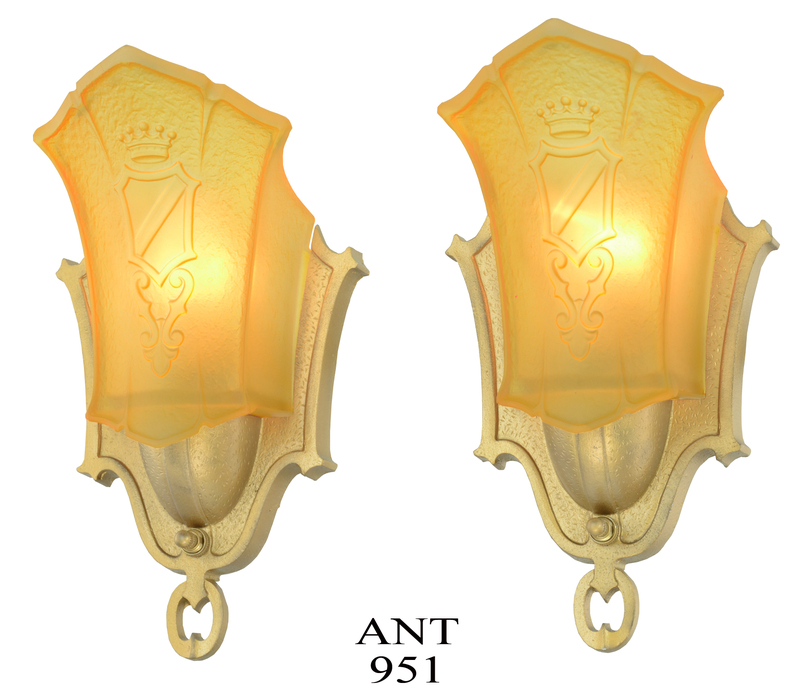 These sconces are white metal with old gold finish. The finish does have some minor variations but it also has a nice mellow appearance and most antiquers would not touch this lovely...aged white metal and old gold finish. 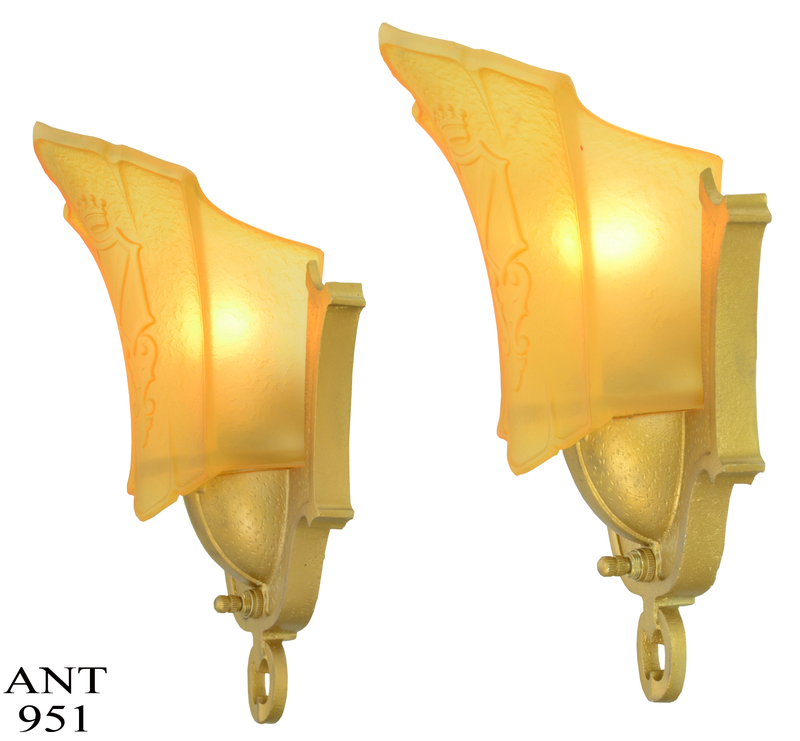 These sconces have been totally re-wired, in our UL register shop, with new sockets. 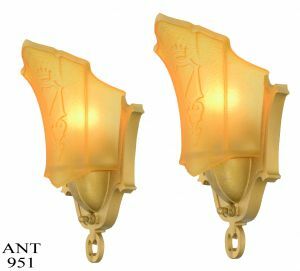 Price: For the complete, UL re-wired pair of documented sconces with shades, $ 850.00 plus careful packaging and shipping.